collaboration Easy Asian Dinner Easy Favorite Recipes NORTH AMERICA Recipes STACKS & WRAPS U.S.A. 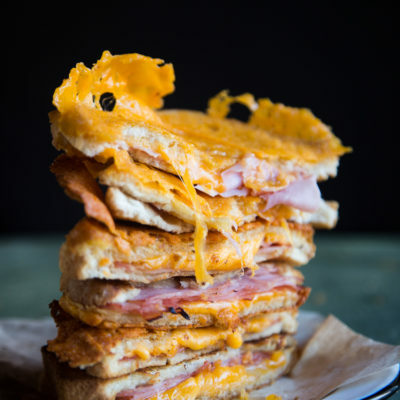 This sourdough grilled ham and cheese sandwich is so cheesy and even more EPIC with that crispy cheese crust on the outside. 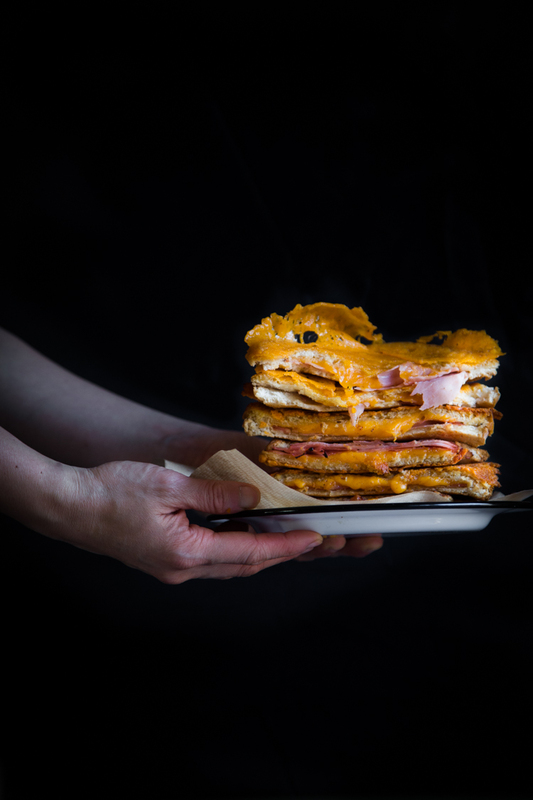 Not your typical grilled cheese sandwich! Ohhh… March I’m so happy for you to be here seriously! It’s the feeling that winter is about to come to an end. Though it’s still cold at this part of the country, but you know…I’m excited. The blooming flowers and my rhubarb plants and chives are about to go crazy again, which I totally welcome! I love homegrown produce. Spring is also the time when we do a lot of cleaning up inside and outside the house, especially inside! With two young kids, they are constantly outgrowing their clothes and toys. Every year I need to gather all the clothes they have outgrown and either donate them or pass them down to other babies/kids. We don’t buy a whole lot of toys, but still, it’s amazing how much things you accumulate in a year time! Like for real..where do all these things come from ?!? I still have painting projects inside the house that I started in late Fall (bad timing I know!) and I had to stop it because I couldn’t open the windows anymore for good ventilation. So, that too, will resume this spring. Our garage..oh my gosh, the garage! Hopefully, we don’t have to spend the entire spring just to clean and tidy up the garage. Despite all the things and projects that are lining up for this spring, I’m still excited for it to be here. 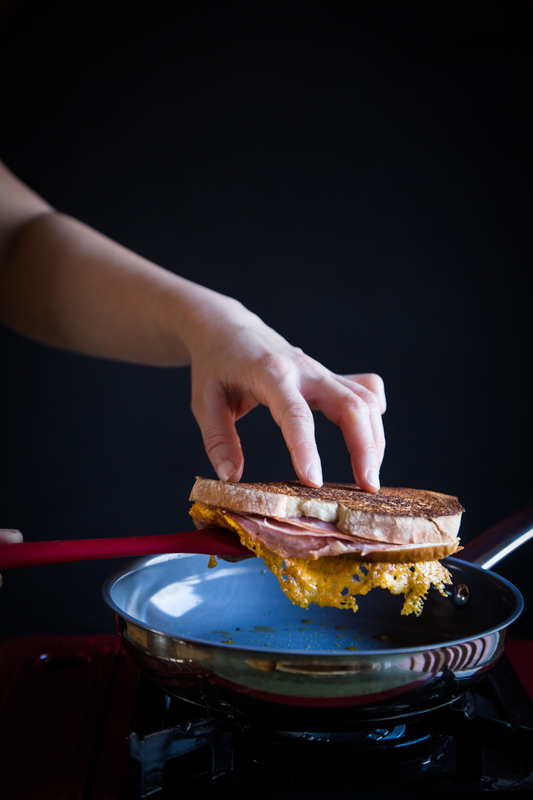 I’m even more thrilled to share this easy and EPIC Sourdough grilled ham and cheese sandwich recipe with you guys. I don’t think I will have a lot of time in the kitchen doing cooking and whatnot and so, this sandwich will definitely become one of the staples this Spring. 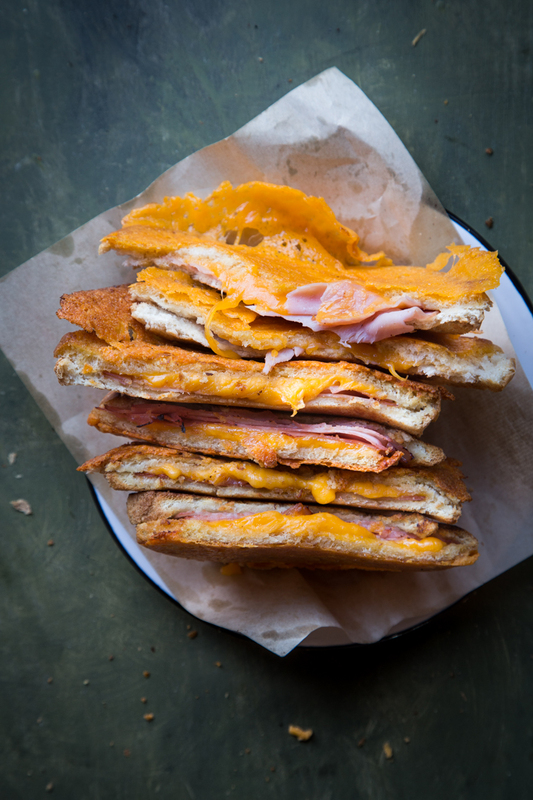 I can’t think of anyone who doesn’t like a good ol’ grilled cheese sandwich! 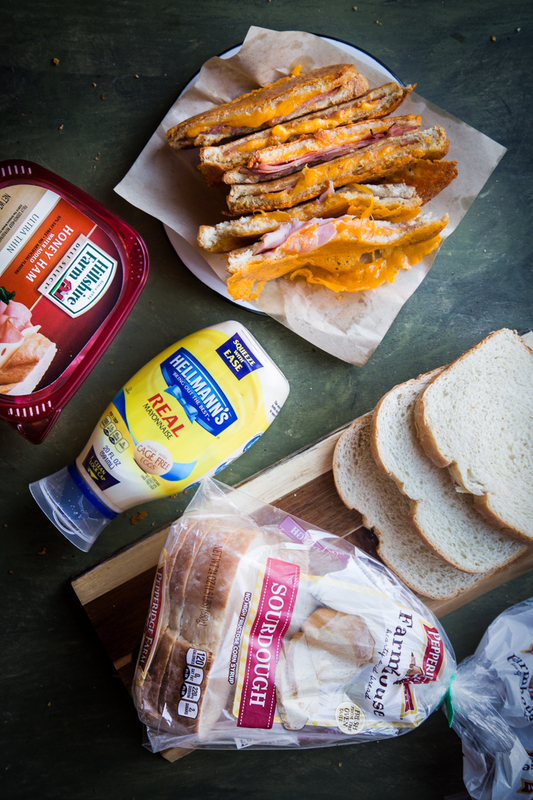 I kick it up a notch by using Pepperidge Farm Farmhouse™ Sourdough bread. I LOVE sourdough bread (as long as you don’t ask me to bake it!). You definitely need a good bread to make a great sandwich. This sourdough bread from Pepperidge Farm has that tangy and creamy taste which I really like from sourdough bread. It gives you that feeling of “Baker’s touch” if you know what I mean. 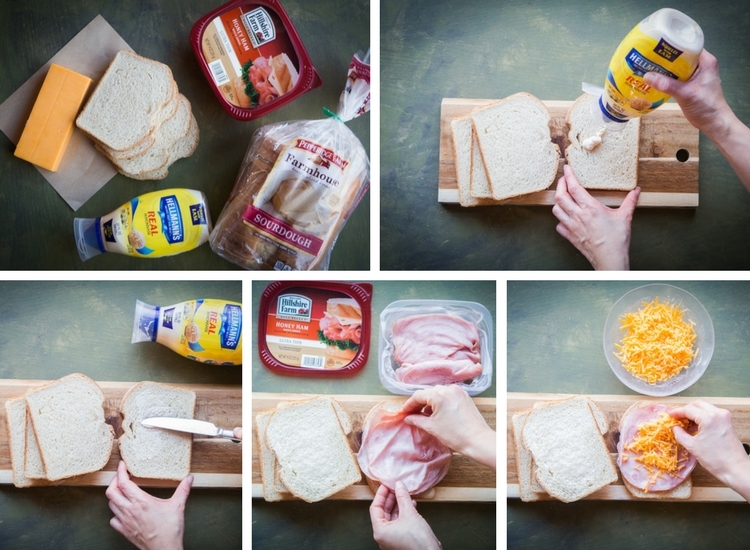 Here are the visual step-by-step of how I made the sandwich. It’s pretty straight forward. 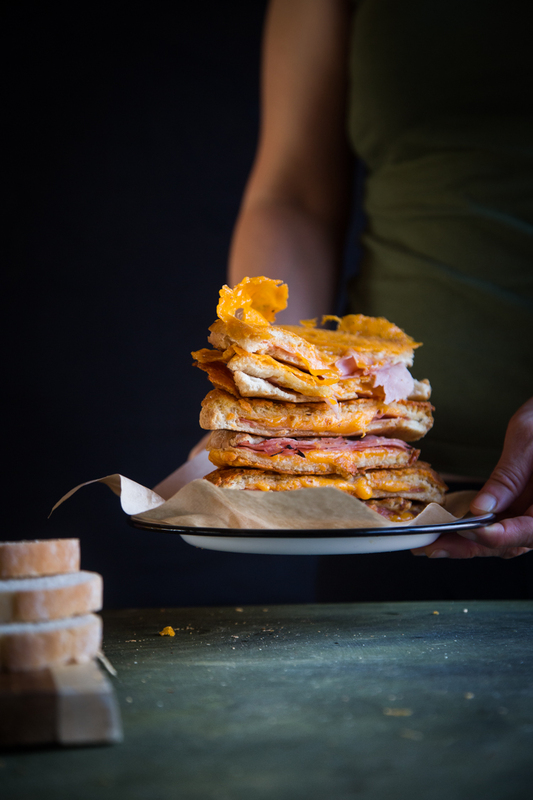 This Epic Sourdough Grilled Ham and Cheese Sandwich needs less than 5 ingredients. 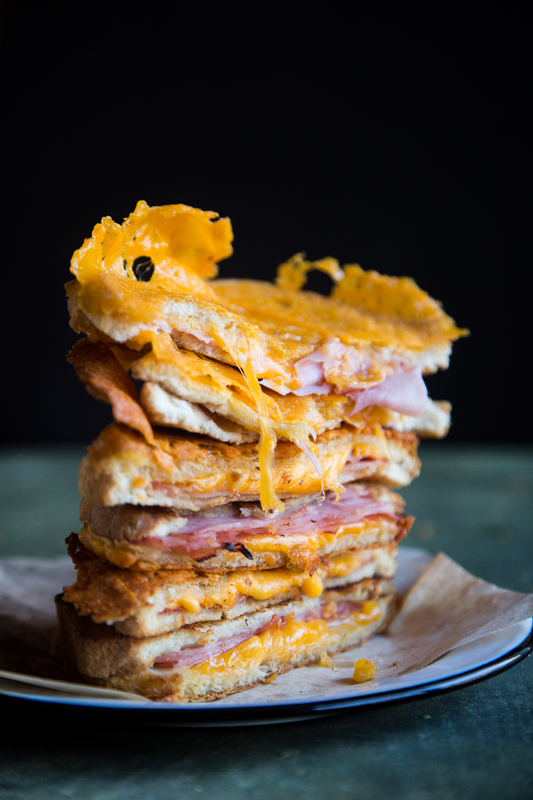 Hillshire Farm® Thin Sliced Honey Ham is another ingredient I used in this recipe and love that hint of sweetness from the meat that pairs so well with the savory cheese. The fact that it is slowly roasted for hours is already a winner to me compare to other luncheon meat. Spreading Hellmann’s® Real Mayonnaise at both sides of the bread will create a crispy crust on the bread. Combine Hellmann’s® Real Mayonnaise with some sriracha for a more intense flavor!! 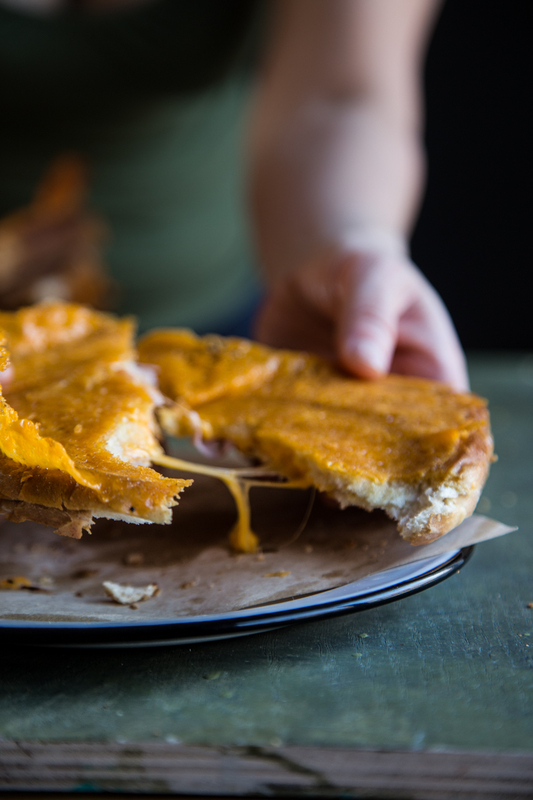 That little satisfaction you feel when you lift that sandwich up from the pan and you see that crispy cheese layer. It’s the little thing they say..and it’s true! In the same skillet, scatter the grated cheese thinly on the skillet. Increase the heat a little bit. The cheese will start to bubble and melt. Place the sandwich you cooked earlier on top of this melted cheese and let it cook for another 1 to 1 1/2 minutes. The melted cheese will start to crisp up a bit. Use a rubber spatula to remove the sandwich from the pan. 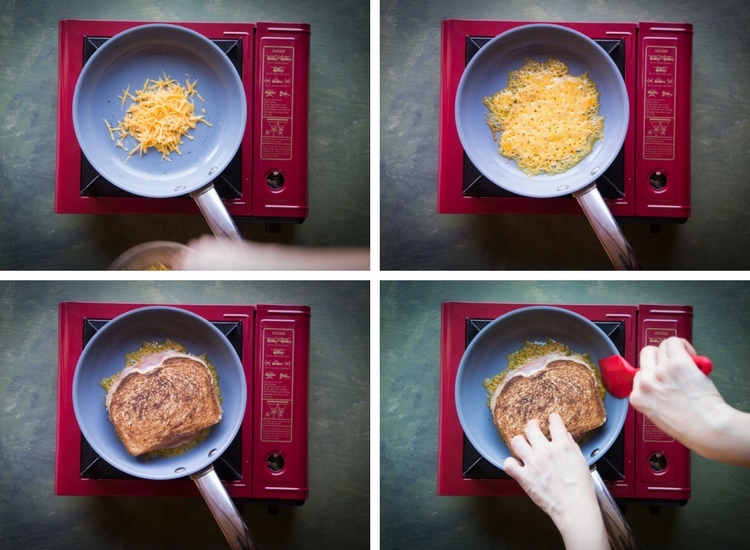 Don't be afraid that you will "break" the cheese layer. Repeat with the rest of the sandwiches. Place this back on serving platter and serve immediately. 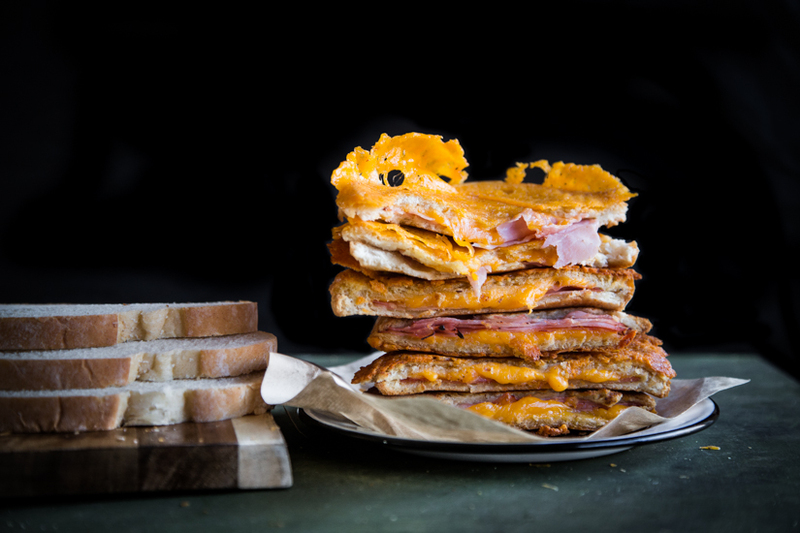 I get all my ingredients for this Epic Sourdough Grilled Ham and Cheese Sandwich at Walmart. 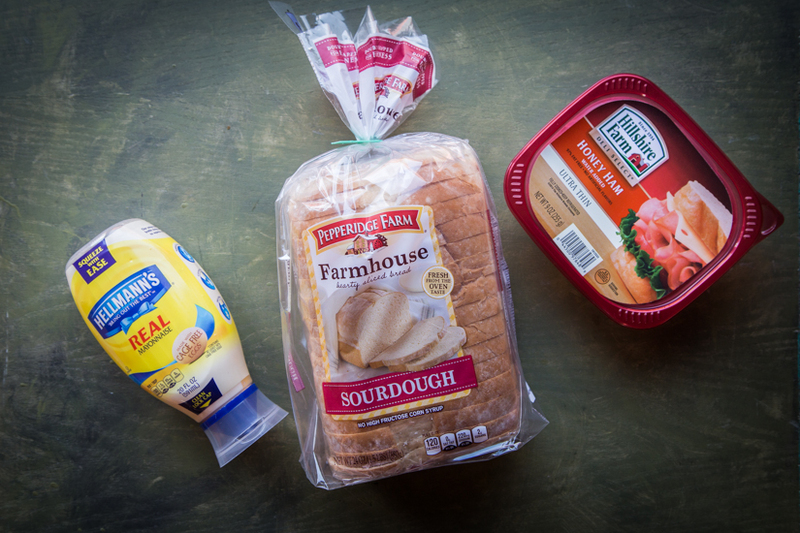 Pepperidge Farm Farmhouse™ Sourdough bread is located at the Bread aisle. 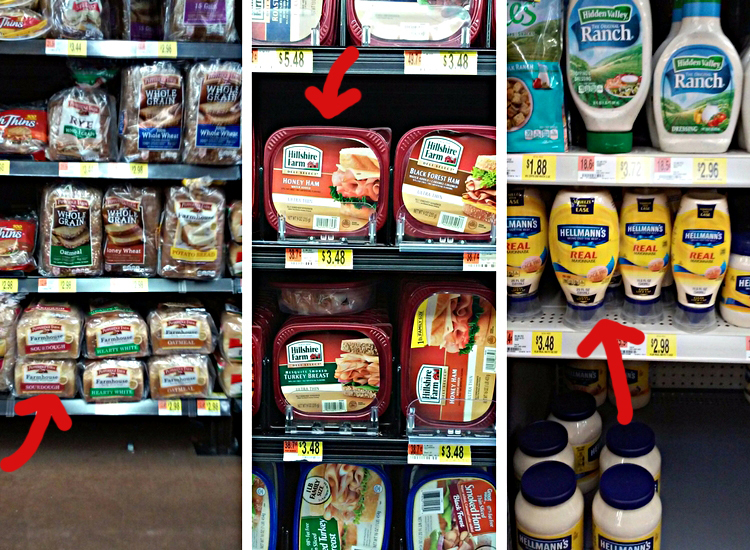 Hillshire Farm® Thin Sliced Honey Ham is located at the Packaged Deli section and Hellmann’s® Real Mayonnaise at the Salad Dressing section. Perfect, delicious, epic, easy all in one. If I were you, I would quickly grab that plate ! Don’t forget to visit Sandwich With The Best for more inspiration too! What a compliment. Thank you so much Emily !! Lunch has never looked better. 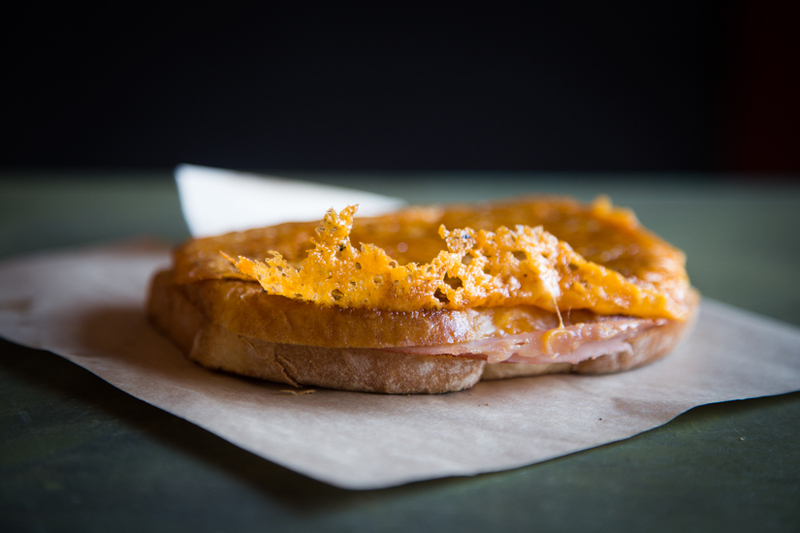 LOVE a good ol’ fashioned hot ham and cheese!